To where it bent in the undergrowth…. His later sigh indicates his awareness of his rationalization in the face of not knowing, really, how the two paths might be different. Though Frost often presented himself as the unassuming, “cracker-barrel poet” whose books of poems graced countless coffee tables, he was actually deceptively simple in his work; in fact, he was, as critic Lionel Trilling once called him, a “terrifying” poet, always approaching, but ultimately staying at the boundaries of the unknown, which was presented in various images that might be scary if his whimsical humor did not back him and his readers away from them. Frost could not ever examine the road not taken because, although part of him was definitely attracted to the mystery, a greater and fearful part of him held back from breaching the boundaries to explore the unknown. Being an actual surveyor of land, he would fill his poetry with images of walls, demarcations of land, encompassing lines, and other barriers, all of which another part of him, nevertheless and paradoxically, wanted to remove or erase. Consider in this context another of his famous poems, “Mending Wall,” in which he describes his ritual of returning every spring to rebuild with his neighbor the wall that separates their properties; strangely, however, it is “where it is we do not need the wall.” However, despite his internal reservations and heeding his neighbor’s dictum that “Good fences make good neighbors,” they continue to gather those difficult-to-balance boulders, which that pesky, winter “frost” had tumbled to the ground. “The Road Not Taken” was published in 1916, long before a metaphysical or even a physical theory emerged that could have helped Frost understand that the road not taken continued to exist and might somehow be “travelled.” Six years before Frost died at 88 in January 1963, a relevant, new theory/interpretation of Quantum Physics (which itself appeared near the turn of the previous century) arose. Interestingly, that new interpretation would foreshadow a powerful, new metaphysics: Jane Roberts’ Seth Material, emerging from a very different source in December 1963, about eleven months after Frost’s death. It seems, in Carl Jung’s terminology, that the collective unconscious of humanity was ready for a great expansion in its awareness of what reality is. What follows here first is a very brief, less-than-bare-bones overview of that scientific breakthrough leading afterwards to a discussion of the Sethian view of parallel lives and, finally, a case study of a woman experiencing parallel-life hypnotherapy. The fundamental idea of the MWI, going back to Everett 1957, is that there are myriads of worlds in the Universe in addition to the world we are aware of. In particular, every time a quantum experiment with different possible outcomes is performed, all outcomes are obtained, each in a different world, even if we are only aware of the world with the outcome we have seen. In fact, quantum experiments take place everywhere and very often, not just in physics laboratories: even the irregular blinking of an old fluorescent bulb is a quantum experiment. …quantum system such as an atom or photon can exist as a combination of multiple states corresponding to different possible outcomes….a quantum system remained in this superposition [all possible states/potential outcomes] until it interacted with, or was observed by the external world, at which time the superposition collapses into one or another of the possible definite states. All the other outcomes/states that might have been observed, simply disappear when the superposition or wave function collapses. To critique this perspective, Schrödinger’s thought experiment took the Copenhagen interpretation to the macro level of everyday reality by imagining a cat penned up in a steel chamber that contains also a small radioactive substance, one atom of which may or may not decay; if it decays, it will set off a reaction that breaks a flask with a lethal acid that would then kill the cat. According to the Copenhagen theory, until the box is opened and the cat is observed/measured to be either dead or alive, the cat exists as both dead and alive. Schrödinger believed his macro-level thought experiment made the Copenhagen interpretation simply ridiculous, since the cat is “obviously” either dead or alive before the observation/measurement. In the many-worlds interpretation, both alive and dead states of the cat persist after the box is opened, but are decoherent from each other. In other words, when the box is opened, the observer and the possibly-dead cat split into an observer looking at a box with a dead cat, and an observer looking at a box with a live cat. But since the dead and alive states are decoherent, there is no effective communication or interaction between them. In the early winter of 1963, Jane Roberts and her husband, Robert Butts, began experimenting with a borrowed Ouija board and thereby contacted what would ultimately emerge as an “energy essence personality” who called himself Seth and soon spoke directly through Jane. Thus began an extraordinary and profound journey through an amazing metaphysical school with endless dimensions. …all of you are more than you know. Each of you exists in other realities and other dimensions, and the self you call yourself is but a small portion of your entire identity. 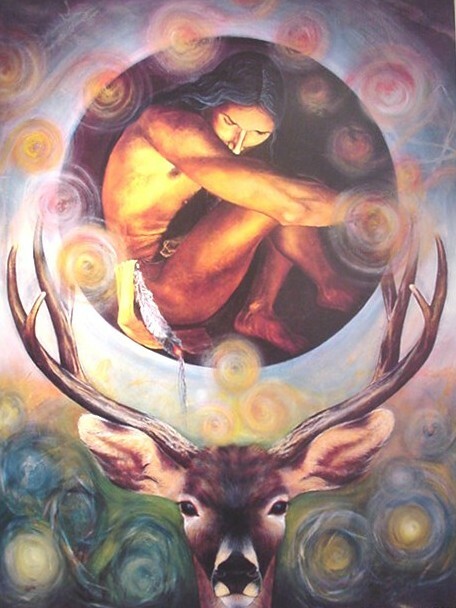 Now, in dreams you do have contact with other parts of your [whole identity]….What you see in the mirror is but a dim reflection of your true reality….This whole self [Soul] has lived many lives. It has adopted many personalities. In the many books that followed and which he called his own, Seth reiterated the basic multi-dimensionality of the whole self beyond our imaginings, discussing not only the whole self’s past and future selves, but also its counterpart selves, as well as probable (also called parallel) selves. In this discussion, I will focus only on the parallel lives of the whole self, a topic addressed many times in his books, but most powerfully in Chapter Sixteen of Seth Speaks, the first of Seth’s eleven books. It seems to you that reality is composed of those actions that you choose to take. Those that you choose to deny are ignored. The road not taken then seems to be a non-act, yet every thought is actualized and every possibility explored. Physical reality is constructed from what seems to be a series of physical acts. Since this is the usual criterion of reality for you, then nonphysical acts usually escape your notice, discretion, and judgment…. Because you do not accept them all as physical events, you do not perceive their strength or durability. Your lack of perception cannot destroy their validity, however. If you wanted to be a doctor and are now in a different profession, then in some other probable reality you are a doctor. If you have abilities that you are not using here, they are being used elsewhere. (Seth Speaks, Chapter 16, session 565). He goes on to note that the soul or whole self, with its “infinite dimensions in which fulfillment is possible,” is far too vast for the very-limited, three-dimensional intellect to behold in its entirety” ; nevertheless, the personality can, indeed, apprehend some aspects of the soul, such as certain probable selves. For, as Seth says, they “are a portion of your identity or soul, and if you are out of contact with them it is only because you focus upon physical events and accept them as the criteria for reality” (Seth Speaks, Chapter 16, session 565). From any given point of your existence, however, you can glimpse other probable realities, and sense the reverberations of probable actions beneath those physical decisions that you make. Some people have done this spontaneously, often in the dream state. Here the rigid assumptions of normal waking consciousness often fade, and you can find yourself performing those physically rejected activities, never realizing that you have peered into a probable existence of your own (Seth Speaks, Chapter 16, session 565). Let us say that he tells his friend he will not go. At the same time, if he imagines that he took another alternative and agreed on the engagement, then he might experience a sudden rift of dimensions. If he is lucky and the circumstances are good, he might suddenly feel the full validity of his acceptance as strongly as if he had chosen it physically. Before he realizes what is happening, he might actually feel himself leave his home and embark upon those probable actions that physically he has chosen not to perform. For the moment, however, the full experience will rush upon him. Imagination will have opened the door and given him the freedom to perceive, but hallucination will not be involved. This is a simple exercise that can be tried in almost any circumstance, although solitude is important (Seth Speaks, Chapter 16, session 565). Seth also praised the use of hypnosis a number of times in his books, suggesting that it could open individuals to other aspects of themselves. In fact, his notion of “psychological time” sounds much like undirected or loosely-directed self-hypnosis, one of the creative “inner senses” he taught to Jane and Rob and their readers. Indeed, hypnosis can facilitate the loosening of inhibiting psychological boundaries and, as will soon be seen here, provide the individual with the chance to use more powerfully the imagination’s capacity to image what is otherwise image-less to the strictly bounded, conscious mind. Yet, why try to contact parallel selves in the first place? Because each probable self forms as a result of the “road not taken,” a choice not actualized by the “official” you, the probable self, says Seth, “is in important respects quite different from the self that you know.” Such is the case, not only because of the different initial choice, but also because of the parallel self’s many other, subsequent choices (whose unactualized alternate choices open up still more parallel worlds/selves). Thus, the experiences of each parallel self can offer something of value to the “official” self who is curious and even adventurous: “To the extent that you are open and receptive, you can benefit greatly by the various experiences of your probable selves, and can gain from their knowledge and abilities” (Seth Speaks, Chapter 16, session 565). Moreover, as I shall soon demonstrate, contact with a probable self can quell anxiety about a choice made long ago, one that may otherwise haunt the present self. An author, retired psychotherapist (especially with veterans), Reiki master. former nurse, and mother of two children, Athena is a 72-year-old, White woman currently living in Northern Virginia with her husband. A very grounded individual with a great sense of humor, she is now a Reiki volunteer in a hospice and a hospital and is a member of the Virginia Master Naturalists. Dedicated to growing spiritually, she has had numerous spiritual experiences throughout her life, including visions and spontaneous experiences of past lives, and is now a member of MUFON (Mutual UFO Network). Born of Ukrainian Jewish parents, Athena grew up in the Bronx and was the middle of three siblings. A naturally good student, she was also a tomboy who beat up bullies who threatened her younger sibling. Her non-conformity extended to her refusing for a long time to become fat like the rest of the family members; but that rebellious aspect of her competed with another part of her that wanted to please her “saintly” mother who was afraid Athena would die if she did not eat “sufficiently.” She also ate to please her father who brought home lots of food, despite his diabetes, to show his love. Though he hugged his children, he was otherwise rigid emotionally; as a result, family members rarely showed emotion, particularly sadness through crying. This background made Athena especially vulnerable to a cult she joined when she was 27. 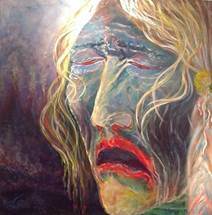 It was headed by a psychopathic psychic and hypnotherapist who was also a sexual abuser. It took some time for her to realize that she had given her power away (as she had to some degree to her parents); yet, after leaving the cult, she rebelled further by becoming very involved with an anti-cult association. As we discussed this situation, she acknowledged that, throughout her life, she has had trouble reconciling her passive, conforming self with her rebellious side. Another instance of this inner conflict occurred when she was 21 and went to Haifa, Israel, with a girlfriend, only to find herself meeting a Jewish native with whom she had an instant and intense connection just before she was to re-board the touring bus. She made the very painful decision to forgo this adventure and return eventually to the United States to marry a man whom she had met before the trip but with whom she was not in love. When Athena came for a hypnosis session after meeting me at my booth at a mind-body-spirit fair, she wasn’t clear about what she wanted to do. After the intake interview, which ended with her brief story of meeting the intriguing man on “an asphalt street” in Haifa, I described to her the Sethian metaphysics of probable/parallel lives and suggested that perhaps it might be worth her finding out what had happened to the Athena who took the “other road.” She first agreed but then waffled about this possibility, saying that maybe it would be better to do a search for a different kind of alternate self. After a moment, she admitted that she was probably resisting the first modality: “I’m afraid that it’s going to be painful, ‘cuz I don’t cry easily [as has been the case since my childhood], soooo….” But then she shared that in the past year she had had “an incredibly powerful dream” in which she met the Haifa man and had a reunion, “and it was incredibly beautiful, with the same feelings and the same pain afterwards about leaving. And I can feel it is coming now…of not wanting to feel the loss again.” I then told her that, while I could not at all guarantee that she wouldn’t feel the pain, it seemed that something in her psyche wanted some kind of resolution after over fifty years; otherwise, she would not have been given the dream or felt the encounter so powerfully even now. I also cautioned her about what I call “subconscious override,” the phenomenon in which the client’s subconscious chooses to lead the client hypnotically in a direction it believes is more pertinent to the person’s current needs than the one consciously chosen by the client. When Athena accepted the invitation, she was choosing to do what Frost could not or would not do—have the courage to go beyond the known. To help her further, I quickly went over the relevant aspects of Quantum Physics, and repeated some of the relevant aspects of Sethian metaphysics that posited the existence of parallel worlds/lives; thus, I furnished her a comprehensive and credible framework beyond Frost’s understanding. As I explain to Athena the hypnotic process I will use, I note that I will help relax her body and mind, ground her, help her protect herself and then descend a set of seven steps, on the last of which at the bottom she will pause. Then I will count back from 10 to 1, and at 1 she will be back in 1966 standing on the asphalt road in Haifa where the tour bus is waiting and where she meets the man. In doing so, she is using her imagination—the image-making part of the psyche—in the way Seth discusses above, not to make up something unreal, but rather to manifest the past event as real and vivid as possible. As she gets to the bottom of the stairs, I remind her that she is going back to Haifa, but only for a visit to a parallel life to gain information ultimately to enhance in some way the “official” life she is presently living. Once she is on the Haifa street, I ask her to stand still and then answer aloud questions I will pose, loud enough for me to hear; as she begins to speak aloud, she will go ten times deeper into hypnosis. Aware that the bus has stopped ahead of her, she notes that it is as large as a gas or diesel school bus, entirely green, but “maybe [with] some black trim around the windows, but mostly green.” The bus, which will soon transport its passengers further north, has stopped, she says, “to pick us up, the passengers who had a break” after sight-seeing at the Bahai Temple—“it was beautiful, beautiful.” Because it is an August day in the seventies, she is dressed lightly in “slacks and an overshirt.” As she hears the bus honking to summon the passengers to get back on board, she notes that she is away from the others and thus will be the last one to get on board. Then she sees the man walking towards her on her side of the bus. “He is taller than me,” she says, “maybe five-ten or eleven” and “looks like Paul Newman, very handsome.” Her voice becomes a bit sultry as she notes that he has “sandy, light brown [hair].” Since, as she says, “I just see his face” as he comes closer, it takes a bit of prompting to get her to notice his clothes: “He’s wearing…a small [, short-sleeved,] checkered shirt, khaki or brown shorts….and black, white, red, blue….sandals.” He has been looking directly at her as he comes within two feet of her. Meanwhile, the bus honks insistently, yet still waits for her. Athena tells the man, “I have to go,” while pointing to the bus. Yet she waits until her girlfriend and the bus driver come to get her: “They’re walking quickly, and the bus driver is shouting, ‘You gotta come, you gotta come,’” and he looks at the other man when Athena replies no. Then, while the driver speaks in Hebrew to the other man, Athena’s girlfriend who “understands a lot,” nevertheless says, “‘Aren’t you coming, Athena? C’mon, we gotta go.’” And Athena replies, “Not yet…I want to know [what the driver and the other man are saying].” It is at this moment that Athena aligns with her rebel nature, takes the road not taken, visits the parallel life, the one that, in her “official” life, she eschewed to follow a more traditional path. As the bus drives away, Athena says she feels “Excited, yet calm. I feel wow, it’s a huge step into the unknown, wow…. [but I feel] no doubt. He said he’ll take care of me, he’ll take care of me. And we go to a place to sit down and talk—well, we have to find someone to translate.” Athena says that she orders “Nescafé —what they have there is Nescafé, not the kind of instant Nescafé we have in the States, but stronger, good. It is sort of like Expresso-type.” Because the man has a friend sitting in the café who speaks English, the man asks his friend to come over and translate. When the friend says the man’s name, Athena now knows the man is David. The first thing David says to her is, “Thank you for staying.” But David’s friend is “puzzled,” not understanding what happened. Athena laughs, admitting, “Neither one of us knows what happened.” “Who you are, what you do, where’re you from” is the gist of the following, translated conversation. She has no doubts or second thoughts about what has transpired, and she and David are adequately communicating. The man back in the U.S she dated only once before she came to Israel, so she didn’t consider that connection a relationship; he was also dating another woman when he met Athena. Thus, there “was nothing much to cut off.” She thinks she may have sent him a postcard telling him she was staying in Israel but received no response from him and figured that he had just gone on with the woman he had been seeing. That’s hard…we’re not together anymore….I don’t think [I’m alive]…I’m floating….I don’t have a baby, it’s less than nine months…the baby wasn’t born….it was a bomb, the house was bombed, shelled….we’re in a settlement–we’re not in Haifa….we were living in Haifa and then moved to a new settlement…. [near the border]…I think I had some hesitation, but it was the thing to do; it was what you did when you were a new settler—you were there to settle to build the country, to go where you were needed and you were proud to make it yours…when you come to Israel as a settler, you were building the country as well, so you go where you are needed, you do what is needed—there’s a great pride in that. Then, as spirit perceiving his future, she says, “I see him as an old man….it’s a tough life there….he may have married another time, where he had children; and it was good—it wasn’t the same, but it was good.” As for the spirit of the fetus who was not delivered, the parallel Athena declares that “it knows it was not to be…it knows [and] it’s okay.” I now invite the parallel Athena to go into the Light where she will someday meet David again. When she gets to the Light, I ask that the Athena of 2017, who has lent her parallel self her voice and expression, to now distinguish herself from Athena of 1967. From the point of view of Athena of 1967, Athena of 2017, who didn’t go with David, and, instead, returned to America, and whose physical body is sitting now in my hypnosis chair in 2017, is a parallel self of Athena of 1967. In short, each is a parallel self of the other. I invite them now to talk with each other about their experiences. After their discussion, which is out of my hearing, I tell Athena of 2017, that she can always come back in self-trance or in a dream to the Light and meet her parallel self again if she wishes to do so. Then, as Athena of 2017 gets ready to return fully to her “official” life, I tell her that the Angels of Light and Love will bring a mesh of Light up through her being; into that mesh she can discard anything from that parallel life she does not want to carry back into her own. And I also invite Athena of 2017 to retain, assimilate and integrate whatever she wishes from her parallel self. I got what I wanted, which was a beautiful love affair that was truly love, even though it was not long….because I felt like [in my official life] I [had] deprived myself of an opportunity to experience a great love…because of my fear of missing the bus. My big fear was that, if I missed the bus, he may have just wanted to go for a cup of coffee or get laid or whatever; or it may not have meant anything—you know, it was my imagination that this was [something]…or maybe not, but there was no promise that, if I missed the bus, I was going to get anything but stranded in a strange town, in a strange country. Because we couldn’t communicate—there was not that safety there—it was a tremendous risk on my part that I chose not to take. [But now, I have experienced] that alternative… [I thereby knew] that this is what he wanted as well….And that I had the beautiful love of that lifetime. I saw what I had hoped in that parallel reality. And before it was over, my Guides pointed out there could have been a lot of other endings to that life as well with [with succeeding choices creating more parallel mes]—which I have to laugh at because, of course, I recognize that now. But what I did [in the Interlife] with the other Athena [the one who died in 1967]—which was really kinda neat—I hugged her [and she hugged me back]….because she also wanted, would like [to have had] what I have….my spirituality, which she would not ever have had the opportunity to develop at that time…in that short lifetime. She valued what I have. Athena of 2017 agreed with me that Athena of 1967 went “deeply” into life, while Athena of 2017 went more “broadly.” In the life of Athena of Israel, there was little diversity, while there was a great deal of such in that of Athena of the U.S.: “There’s a richness [in my life now] that she couldn’t have developed there,” especially because, in the 60s, Israel’s almost exclusive focus was on preserving and expanding the country. Accordingly, Athena of Israel’s having a baby was almost “incidental to her,” in contrast to the attention of Athena of the U.S. to her children. I then explained that because the Soul is so multidimensional, it cannot manifest everything it is in any one life, official or parallel; so, each life will lack features found in other, parallel lives. That’s why there are so many selves and so many different kinds of selves. One human life cannot ever encompass the whole self. I added that there is an illusion many individuals have: that, if he or she had taken the path not chosen, he or she would have it all. But that is simply not true. There are, necessarily, limitations in every life. If the “official” Athena had taken that other path, her “perfect” daughter on this path in—her own words— “would never have been born.” When I told her that this process often shows that the grass is not necessarily “greener” on the other side, she laughed in agreement. But parallel-life hypnotherapy can relieve the stress of the “if-only” (she chimed in with those last two words). All of us have had at least one “if-only.” But, as I told Athena, you can have it all, not in the sense of having everything you want in one life, but in the sense of becoming aware of many of your parallel [and other alternate] selves that are distinct from you but are, nevertheless, also you. You are and are not all your alternate selves. The “if-onlys” do not have to haunt you if you realize that the soul is multidimensional and that you have access to at least some of those alternate selves. I love my husband, he loves me. He does small, wonderful things for me, but he’s not a David. He’s a Jack—he’s decent, honest…there used to be a joke when I lived up in Vermont: my friends and my neighbors would tell me this: ‘Athena, if you die, there’s going to be a line of women with plates of food to give to Jack.’ [She laughs, giggles.] I picture the line of women [saying], ‘Oh, you poor thing, let me feed you’ [laughs again]. It’s the kind of guy he is, but it was not ever a love affair, which I never had….but now [after the hypnosis, I can say and feel that] I had it. Before Athena left my office, I summed up what had transpired. 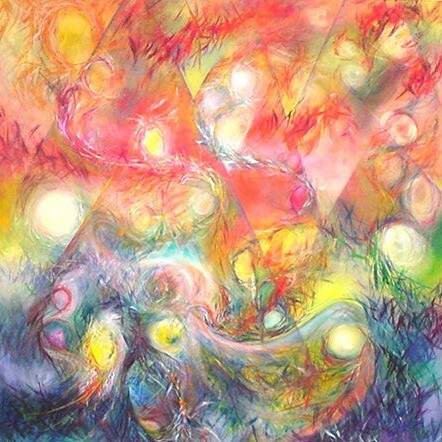 The hypnotic process had achieved several healings for her: she experienced the relief of the inner turmoil she had felt for years over not taking that road in Haifa; she was able to give full voice to the emotions she had held back most of her life because of her parents’ training; and, while remaining seated in my hypnosis chair, she had summoned the courage to go beyond the limits that had stymied Robert Frost, embraced a metaphysics more expansive than any he could imagine, and thereby integrated her rebellious nature with her more conforming one. She thereby substantiated Robert Penrose’s belief that it is possible to hold two seemingly opposing states at the same time: while fully opening to and enjoying the adventurous life with David, she simultaneously appreciated her less exciting, but more diverse and lasting, “official” life with Jack. She became what Frost could not: “one traveler” able “to travel both” paths! See, also, “Birches,” in which he tells that, as a boy, he would rapidly climb the tall birches toward the sky away from the Earth, only moments later to swing on the branches back down to the ground. See the Introduction of https://plato.stanford.edu/entries/qm-manyworlds/. Quoted in https://en.m.wikipedia.org/wiki/Schrödinger%27s_catfrom Penrose, R. The Road to Reality, p. 807. Jane Roberts, (1970), The Seth Material, New York, N.Y.: Pocket Books, Chapter Sixteen (The Multidimensional Personality). Jane Roberts,(1972/1994). Seth Speaks: The Eternal Validity of the Soul. Novato,CA. : The New World Library, Chapter 16, session 565. This is a pseudonym to protect her identity. She graciously gave me permission to publish this article. What she had suggested was a hypnotic search for one of her Counterpart Selves. When the soul is intent on experiencing an issue from several angles at around the same time, it incarnates into several individuals who may be of different races, genders, nationality, etc. and who may or may not have contact with each other except in the dream state. For instance, if the soul wants to work on the overall issue of weight, it might incarnate itself into a fifteen-year-old girl in Kansas who is challenged by anorexia, a twenty-six-year-old Chinese man living in Taiwan who is obese, an eighty-six–year-old monk in Tibet who has voluntarily restricted his diet for spiritual purposes, and a middle-aged female researcher in Budapest who is working on developing a totally safe diet pill. By incarnating all these counterparts (usually about four-five), the soul experiences the issue from multiple points of view at the same time. Moreover, each individual consciously or unconsciously experiences “bleed-through” thoughts or feelings from the others during sleep or in waking life through “hunches,” spontaneous images or thoughts, or other “serendipitous” experiences. More information on Counterpart Selves can be found in Jane Roberts, (1979), The Unknown Reality, II, San Rafael, CA. : Amber-Allen, Session 721. Heather: From time to time I feature other authors, researchers, and hypnotherapists on my blog. Today I am very excited to have Dr. Joseph Mancini on PLR Institute. Dr. Mancini is currently a Clinical Hypnotherapist specializing in Spiritual Hypnotherapy and certified by numerous international and national certifying bodies. He also has a Master’s in Organization Development, which he uses for executive coaching and corporate training on various leadership topics. In addition, he had worked for over 20 years as a Clinical Social Worker and, with his Ph.D. in Literature from Harvard, had taught, for 17 years in various universities, an array of literature and literature-and-psychology courses. He has published articles in his various fields of study and has authored two books on past lives and past-life regression. Heather: Dr. Mancini, thank you for joining me today. First, of all, let me say Congratulations on your new book Ending the Endless Conflict: Healing Narratives from Past-Life Regressions to the Civil War. Can you share with us how you first became interested in past lives? And, back then, as if Spirit knew that I needed some personal evidence of the reality of past lives, I had an experience that I would later—decades later—incorporate into my new book, Ending the Endless Conflict. I met a woman who in many ways was decidedly not appropriate for me; yet, she displayed psychic traits that vastly intrigued me, given how new the concept of past lives was for me at the time. We lived about 30 miles apart; and, one night, I got a phone call from someone with a slightly southern accent who called me “Jason” and asked me to “ride” over to her place as soon as I could. Finally recognizing the voice as belonging to this woman, and always ready for an adventure, I rode my “horse” down to her place where she greeted me at the door in a flowing negligee that could have been worn by women from long ago. Today, I would say that she was in a deep and abiding trance as we talked; I gradually discovered that “Ellie” and I were lovers during the Civil War. The next morning, we were out of the trance—I, too, had gone into a trance during the experience—but, unfortunately, we did not speak about what had happened. Frankly, I wasn’t sure whether the woman was psychologically stable; but, today, I would characterize her basically as being undisciplined, ungrounded in her access to the other world. A couple of weeks later, we went to Cape May, where, just after dark, we strolled along one of the main routes into the town, the one bordered by Victorian houses. Suddenly, the woman leaned her ear against one of the wooden gate markers at the beginning of a semicircular, grassy driveway of one of those mini-mansions. She told me that she was hearing the creaking of wagon wheels, the snuffling of horses, and the gay banter of several people; then she started to approach the house. Realizing that she was again in trance and back in the Civil War era, I quickly guided her away from the house before we were seen. Back at the motel where we stayed, we again made love as “Ellie” and “Jason.” Sadly, I soon grew tired of being tacitly and unfavorably compared to Jason and ended the relationship, never to hear from her again! While I was in the midst of writing my book on regressions to the Civil War, I consulted a trusted psychic who confirmed that the woman and I were, indeed, paramours during that era. Readers of this interview can consult my book for further details about “Ellie” and “Jason” and the healing potential for this incarnation of my knowing about that past life. Heather: Can you tell us a little about your new book? Joseph: Oh, sure. As indicated from my last response, the book has a very personal dimension. In fact, as I explain in the Preface, I started the book during a difficult time in my life and found that it provided a healing for me, not only of my then despair, but also of my not-quite-resolved issues from my Vietnam experience many years ago. Taken by a friend to Gettysburg, I visited one of the battlefields, none of which I had paid attention to on my two or three visits to the town. As we traveled up the road to Culp’s Hill, I saw the regimental markers that I took for tombstones. I was overwhelmed by the thought of the immense carnage and suddenly had the idea that, with my hypnotherapy training, I might be able to offer some healing to present-day individuals who had past lives during the War. And, somehow, the regressions might bring some healing to those past-life selves as well (since all lives are actually going on simultaneously in the Spacious Present and thus are not ended, despite our common perceptions created by the time-space continuum). The governing metaphor of the book is found in the ancient Hindu story of the blind men who encounter an elephant for the first time. Each of them, in contact with only one part of the elephant, declares that he knows fully what this new creature is. For instance, the one touching the trunk believes the elephant to be snake-like, while the one holding a giant ear declares the creature to be bird-like with huge, heavy wings. None of the blind men is willing to make room for the experience of any of the others. This overconfidence in the rightness and totality of any one view to the exclusion of any others divided the North and the South, even before the start of the Civil War, and, very sadly, continues to this day in our fractured and polarized political and social worlds. Gary Gallagher, a University of Virginia historian whose work I very much admire, talks about four interpretive traditions found in traditional histories of the Conflict; these traditions each tend to see the War, an Elephant in itself, through one lens and minimize or outright dismiss the others, thus creating dissension among historians and common citizens that never ends. What I discovered in doing the regressions is that each person, living back then or today, is an equally complex Elephant, a creature of multiple dimensions. These facets include different parts of the conscious or subconscious selves, as well as the alternate selves that make up the vastness of the Soul, such as past lives, future lives, parallel or probable selves, and counterpart selves—all of which factor into the stories in the book. However, when the individual does not recognize or accept his/her multi-dimensionality or that of others (individuals or groups), trouble prevails, including physical, psychological, and spiritual sickness and even non-productive conflict and ultimately war. Lack of awareness or dismissal of one’s multiplicity can lead to the polarization (inner war) of opposite sides of oneself, to the rejection of alternate selves and the resources they can provide, to the projection of those rejected parts (the Shadow) onto others whom the individual can dismiss, hate or even kill. The consequent reduction of the complexity of the self leads to the stereotyping of the self as good and the other as bad—all of which creates hostility between inner parts or between the self and the other. Being one-dimensional robs the self of the resources necessary to deal adequately and compassionately with a world ever growing in complexity. In each of the thirty-four stories recounted in the book, the individual suffers and often causes others to suffer because of his or her failure to see the self and the other as complex human beings. Just one quick example: in one case study, Natalie (pseudonym) believed she would not be a combatant but instead be a domestic of some kind in her past life; for she abhorred violence and could not watch the war movies her soldier-husband frequently watched after his tour in Iraq over 10 years ago. They were well polarized in this dimension of their relationship. Well, Natalie was in for quite a shock when she encountered her past-life self: she was Raymond, a drummer boy who eventually morphed into a vicious killer of the enemy, who survived the War, but could not quite integrate his former brutality into a conception of his peace-time self, that is, until just before his death, when I helped him do just that so he could die at peace with himself. In her current life, Natalie had not accepted her capacity for betrayal of others and, like Raymond with his brutality, could not integrate that trait into her conception of herself. So, Raymond’s being able to finally assimilate all his parts, shadowy and otherwise, helped her begin to accept her inner diversity and finally understand the basis for her betrayals. While that was an amazing healing, more was to come. Having been in Vietnam, I explained to Natalie that the reason her husband could not share with her much about his Iraq tour is that, given her disgust with violence, he did not feel her to be a comrade, one who would not flinch from his story and thus could listen with compassion. She went home and cautiously told him about the regression; to her utter surprise, he immediately began to tell her what he had not been able to tell her before. Now, having listened to his wife’s own war story, he could trust her, open up to his new comrade, and therefore begin his own healing in bringing his hell home to his now compassionate fellow soldier. There is so much more to tell, but I have to restrain my passion for this project that helped heal me as well. Heather: I’ve been reading your new book and find it fascinating. I’m pleased to see how busy you are. I remember your wonderful radio program and your previous book The Present Power of Past Lives: The Experts Speak. Any other projects in the works? Joseph: Thank you, Heather. And I remember the equally fascinating interview I did with you for that book! As for new projects, I am certain I have at least one more book (and maybe more) gestating within me. But I am not clear on the topic. I have contemplated a sequel to Ending the Endless Conflict—I have one more regression I did involving a nurse working around D.C. during the War, as well as the names of several other willing participants. I also have been toying with the idea of doing a book on regressions to the American Revolutionary War. But I think I want to do something else first, possibly a book of interviews with practitioners who work with dreams from different interpretative traditions, e.g., Jungian, Gestalt, Shamanic, Sethian, and others. I also plan to do some online teaching in the next few months (check my website for details at www.lifetransforminghypnotherapy.com) on Working with Crystal Skulls, Accessing Alternate Selves for Healing, and Approaches to Dream Interpretation. Heather: If someone was interested in learning more about past lives where would you suggest they start? Joseph: I actually would start with my first book, The Present Power of Past Lives: The Experts Speak. As one prominent reviewer on Amazon said about it, the book could serve as a text for a course in the topic. In it, I speak to twelve experts in the field of past-lives, covering just about every venue in which accessing past lives is important. The books written by these individuals will further explain what they synopsize in their interviews. I also urge individuals to make sure that they have a spiritual context in which to understand fully the notion of past lives and related issues. They can do this by researching a metaphysics that can account also for some of the strange phenomena that pop up during regressions. As I mentioned earlier, I have found the Seth Material to be absolutely invaluable in guiding my understanding of our multi-dimensional reality. In The Present Power, I comment on what the experts say through the massive lens of Seth’s metaphysics, including a chapter on what Karma is and is not (It is not a time-bound, cause-and-effect, eye-for-an-eye, deterministic phenomenon; it is rather a series of free choices embodied in contracts among souls for the enrichment of all concerned). Heather: Has past life work changed your life? If so, how? Joseph: It has made me less fearful and more powerful because it has expanded my sense of who I am as a multidimensional soul having physical experiences. I think the notion of a one-dimensional soul with one body, one life, is productive of great fear, recognized consciously or not. You have one chance to grow, to get it “right” before you are judged as worthy or not—my gosh, how scary! Having grown up Catholic, that’s what I was taught, yet always pushed against. The one-life model also robs the individual of all the resources that are waiting to be accessed in his/her other lives, resources that include skills, perspectives, and experiences seemingly alien to the person as he/she normally perceives the self. 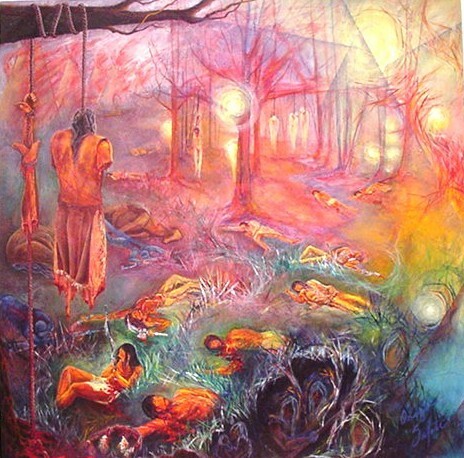 Moreover, the one life model keeps us from maximum empathy for others, especially for those very much unlike us; but, if the soul of each of us is multi-dimensional, then each of us is very likely to be deeply connected to alternate selves like past lives that are very different from how we ordinarily see ourselves: e.g., the macho male is soulfully connected to a very feminine woman in another time or place. Heather: You must spend a lot of time and energy on your work. What do you do to recharge? Do you have a creative outlet? Joseph: That is a very interesting question, Heather. I would say first that my work—the individual and group sessions, as well as the writing—can be tiring; yet all that also recharges me, makes me feel expansive and even joyful, especially when I see a client or a reader of one of my books blossom in some way, psychologically and/or spiritually. Yet, like everyone else, I need downtime, especially near water. I love taking out my Hobie, pedal-driven kayak; someday, I will get another of Hobie’s kayak sailboats, which will be even more relaxing. I also like to see plays, amateur and professional, and have tossed around the idea of writing one myself and having it produced. Ah…if there were only 36 or more hours in a day! Heather: Thank you again for taking time out of your busy schedule to talk with me today. Where can our readers find out more about your work? Joseph: They can always check out my website at www.LifeTransformingHypnotherapy.com and my blogsite at www.ExplorationsinSpirit.com. If they want to be on my mailing list, they can contact me through my website or by emailing me directly at soulsrvr@erols.com. I would also like to hear from individuals who have a strong interest in or a strong repugnance to the Civil War and/or the American Revolutionary War. They could become participants in one of my future books! I want to thank you so much, Heather, for this opportunity to share my work with your readers! If you like the book, please consider writing a testimonial on Amazon. The Civil War is still with us! It exists in our stereotyping of self and Other, in our polarized thinking, and in our unwillingness to see the presence of the Other within ourselves and in our groups. In Ending the Endless Conflict: Healing Narratives from Past-Life Regressions to the Civil War, Dr. Joseph Mancini takes the reader on multiple journeys to the Civil War, the main source of the polarized thinking that haunts America today. By investigating the Civil War, past lives of seventeen individuals living today, Dr. Mancini provides the potential for healing on both the individual and collective levels. He shows how insistence on one-dimensional, stereotyped perspectives about self and Other; failure to acknowledge and integrate the shadow side of the psyche; inability to hold seemingly incompatible perceptions together while staying grounded; and profound lack of empathy for warring internal dimensions and alienated external selves—how all those limitations created intense anguish for both the present and past-life personae. and an unknown, Union scout, who becomes a combatant and is a Counterpart Self to another, Union scout in a reconnaissance balloon. A final, past-life personage, Robert E. Lee, is accessed, not as his actual self ,but rather in terms of his still “living” worldview by one of his descendants. Besides illustrating the sometimes overwhelming tragedy of those past lives, the stories that unfold are themselves fascinating windows into the era’s many cultural aspects, domestic and military, including, among others, slavery, Northern as well as Southern racism, Southern and Northern concepts of honor, and the hopes for, as well as the horrors of the War for both sides. 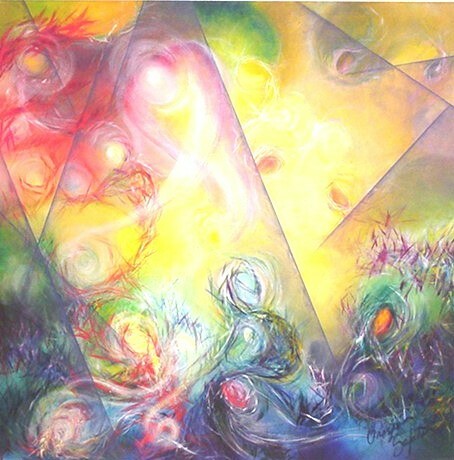 The underlying metaphysics for this work are spiritual concepts voiced by Seth, that “energy personality essence” channeled by Jane Roberts, the “grandmother” of most of today’s spiritual thought leaders. With the help of the Seth Material, spiritual phenomena like Past Lives, Counterpart Selves, Future Selves, Parallel Selves, and “living” worldviews—all encountered in the regressions—are explained. Sacred Contracts between individuals, ghosts, and spirit attachments are also part of the mix of fascinating topics. In addition, Ending includes an account of the author’s own past life during the Civil War. His writing the book also becomes the means for his full healing from his Vietnam military experience that had eluded him for decades. This material is found in the Preface, in several endnotes, in the PostScript, and occasionally in the main body of the book. All of these purposes coalesce into a timely, informative, powerful, and immensely engaging work. Ending the Endless Conflict is an inspired work. The trauma of war stays with us, whether it is from a current-life experience or from a previous life. I learned this some years ago when my five-year-old son vividly recalled his traumatic death on a Civil War battlefield and, after talking about his memory, had a physical and emotional healing. Joe Mancini has found a path to healing deep, complex, psychological and emotional wounds of war, through his own experience in Vietnam and from the past lives during the Civil War uncovered by his clients. This is a fascinating, well-written and well-researched book. –Carol Bowman, M.S., is the author of Children’s Past Lives and Return From Heaven. Ending the Endless Conflict: Healing Narratives from Past-Life Regressions to the Civil War by Joseph Mancini Jr. is a fascinating book that explores the concept of reincarnation in ways that, to my knowledge, have never been explored before in such depth. This book will be a valuable addition to the field of consciousness exploration and have a timeless relevance for all readers. As we share in the stories of those who participated in this real-life study, we are led to understand the healing power that can come when we seek to understand the interplay that exists between past-life events and our present lives. I highly recommend this book and have no doubt that, if you read it with an open mind, you will be as deeply affected by these stories as I was. –Richard Kendall is one of the ‘New York Boys’ who attended Jane Roberts ESP Class in the 70s and is the author of The Road to Elmira. Many years ago, the spiritual teacher, Seth, predicted that humans would eventually transition to a higher state of consciousness in which we would meld mind and imagination in a ‘higher intellect.’ According to Seth, this potentiality is latent within us now; and he recommended hypnosis as one way of tapping into it. In Ending the Endless Conflict: Healing Narratives from Past-Life Regressions to the Civil War, Dr. Joe Mancini explores the ways in which hypnosis can allow subjects to access past incarnations to address present-day hurts and apply the healing wisdom of the higher intellect. Dr. Mancini demonstrates his masterful command of Seth’s teachings while bringing them to bear in a practical setting. He relates to his present-day clients with enormous respect, sensitivity, and insight; and the accounts of their Civil War era incarnations are highly engaging. Ending the Endless Conflict is a compelling and thoughtful exploration of the power of hypnosis for healing and of the untapped wisdom that resides within us all. Ending the Endless Conflict is a must-read for anyone who feels drawn to the American Civil War. 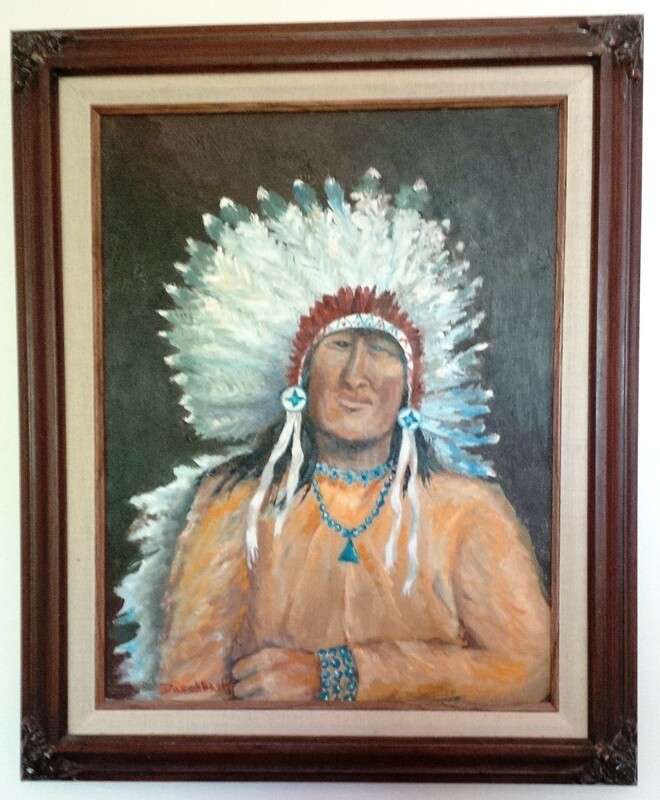 Dr. Joseph Mancini does an outstanding job of documenting the culture and society of the North and South while he walks the reader through his personal search as well as client stories with regression therapy. In addition, Dr. Mancini explores the healing process that can take place by sharing how these memories continued to influence his clients’ current lives. Whether you view these stories as past lives, analogies, or archetypes is less important than acknowledging that we, as Americans, continue to be affected by this devastating time in our collective history. –Janet Cunningham, Ph.D., is President of the International Board of Regression Therapy (IBRT), author of 12 books and CDs, Certified Regression Therapist, Trainer, and owner of Two Suns Press/Heritage Authors. 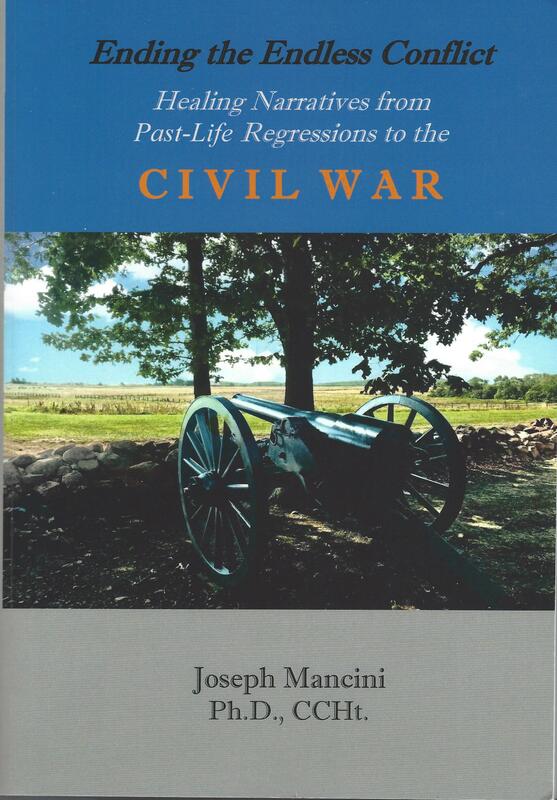 Joseph Mancini, Jr., in his study described in Ending the Endless Conflict, has done more than merely regress each participant back to his or her Civil War former life to learn how it has affected the current one. More importantly, he created a template, a path to healing for them, and for all those who have been affected by war, whether it be the Civil War, Viet Nam, or any other war. It even provides a ray of hope for those who knew not what to say when their warriors returned home, hope that there is a way for the barriers of silence and guilt to be lifted. Dr. Mancini opens the door for us so that necessary conversation can take place, not only about the past, but also about the present; as a result, both individual and collective healing are possible. –Nancy L. Eubel, M.B.A., MCHt, CCH, Rt, is author of Mindwalking: Rewriting Your Past to Create Your Future. In Ending the Endless Conflict: Healing Narratives from Past-Life Regressions to the Civil War, Dr. Joseph Mancini, pens stories in a flowing prose that easily transports the reader back to that devastating Conflict. His addition of relevant historical facts augments the very real stories of the featured individuals and offers a poignant backdrop to their plights. Through the descriptions of his interactions with his clients, Dr. Mancini creates a wonderfully accessible approach to understanding the complex way that past, present and future lives overlap; in so doing, he shows the individual how to alter his or her reality at any given point in time to promote healing on many levels. This book is an extremely thought-provoking, literary work that is difficult to put down; as such, it is one of the most enjoyable books I’ve read in quite some time. —Kim Starzewski, Metaphysical Journeyer and Director of Data Mining. Ending the Endless Conflict does far more than provide a fascinating glimpse of life during the Civil War through the eyes of those who actually experienced it. These past-life regression experiences offer a priceless look at the link between the past and the present. Joseph Mancini, Jr., also reveals many enlightening spiritual truths. He writes, for example, “The material world then, far from being a place simply of Karmic suffering, is instead the arena for enhanced opportunities for personality and Soul growth and, ultimately, for the enrichment of All That Is.” This is truly a book worth reading! –Josie Varga is the author of several books including Visits to Heaven and A Call from Heaven: Personal Accounts of Deathbed Visits, Angelic Visions, and Crossings to the Other Side. This thoroughly fascinating book, Ending the Endless Conflict, shows us how to access the depths of our experiences in past lives in order to heal and to have fuller, more fulfilling lives now. Though Dr. Mancini focuses on regressions to lives lived during the Civil War, the lessons gleaned from these stories can be applied to all of us who have an open mind and a desire to raise our awareness about our life’s decisions and our Soul’s journey. I’m lucky to have had the benefit of doing past-life regressions with Dr. Joe, and I can attest to the benefits of the method described in his book. I highly recommend it. –Cyd Rowley is an artist, jeweler, and spiritual seeker. In Ending the Endless Conflict, Dr. Joseph Mancini, Jr. has created a book rare in its chronicling of past-life regressions to the Civil War. Instead of merely regressing each participant back to his or her life during the War, he went on to discover how each former life has influenced the current life. Very thorough in his analyses, Dr. Mancini has shown how the regressions could help with the emotional healing of the present individual. Referencing the work of many experts to provide historical contexts, he also has included metaphysical references for spiritual understanding. Anyone with an open mind regarding reincarnation will learn from this remarkable book much about the Civil War and about healing through regression. –Roy Hunter, DIMDHA, DAPHP, is a Certified Hypnotherapist, the published author of several hypnosis textbooks, and the editor of The Art of Spiritual Hypnosis. 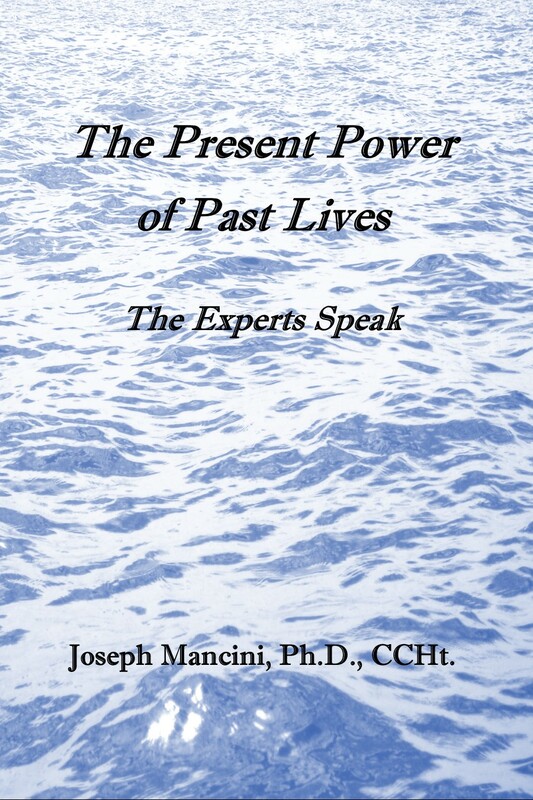 As a hypnotherapist with an interest in past-life work, I found Dr. Joe Mancini’s book on past lives during the Civil War to be not only a compelling read, but also an in-depth study on how our present-day life, emotions, and choices can be, and are, influenced by our past-life experiences. Through these stories, we are taken into the shadows of racial prejudice and war, perils of the past that continue to haunt us today. With great eloquence, Dr. Mancini teaches us how we can learn from our Soul’s experiences so that we may live a better life today, not only for ourselves, but also for all of humanity. –Linda Baker is an R.N., Master Alchemist, and author of three books, including Soul Contracts. I urge you to take a mindful stroll through Ending the Endless Conflict: Healing Narratives from Past-Life Regressions to the Civil War by Joseph Mancini, Jr. This is a terrific, multi-tiered book, which mixes scholarship, history, anecdotes and esoteric knowledge. Such a thorough and grounded grasp of concepts both spiritual and historical is rare in the field of reincarnation studies. Dr. Mancini adds weight to this Soul subject by adding historical perspectives on the Civil War, along with individual stories from past-life personae who actually lived through it. Moreover, I found the many names of the Civil War, which Dr. Mancini cites, particularly thought-provoking, for events and conflicts are, indeed, often colored by biases and short-sighted perspectives. History can thus be slanted and swayed, and thus even be essentially re-written. Because he understands his subject well, Dr. Mancini skillfully guides the reader easily through the multidimensional historical and spiritual discussions he presents. Highly recommended. –Stephen Poplin, M.A., CCHt., is the former, International Director of the Michael Newton Institute, and author of Inner Journeys, Outer Sojourns. Joseph Mancini’s new book, Ending the Endless Conflict: Healing Narratives from Past-Life Regressions to the Civil War shares a rich collection of healing journeys made possible by using the powerful hypnotic technique of past-life regression. This book will open eyes and soften hearts as it reveals that we are so much more than we think we are. My hope is that the focus on the carryover of Civil War trauma into present lives will somehow help heal the continuing divisions that persist between the North and the South. –Jack Elias, CHT., is the author of Finding True Magic: Transpersonal Hypnosis & Hypnotherapy/NLP, and Director of the Institute for Therapeutic Learning.